Hundreds of DVD discs are full of the shelf, drawers or boxes. It's your DVD library collecting lots of previous movies, from classic to new hit. However, not all discs are in a great condition but covered with dust, small scratches and other hurts which result in DVD player can't access the contents. To revive the huge DVD collection, especially for some hard-to-find movies, disc to digital conversion is an advisable choice. A digital copy with full video, audio, subtitle tracks can be better stored on hard drive, other storage device/cloud and enjoyed on mobiles whenever wherever. • No compression. The size of resulting file is too big. • Although it announces supporting encrypted discs, the ripped digital file from a copy-protected disc is only 10 minute. • The only output format MKV is incompatible with almost all portable devices. All 3 ways can help you rip DVD disc to digital free. 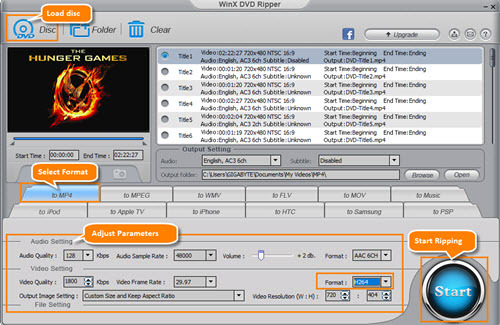 WinX DVD Ripper is in the lead to support copy protected discs and brings the easiest solution. 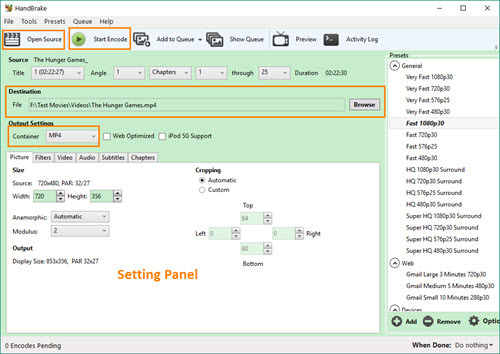 HandBrake plays as a versatile program to perform both DVD and video transcoding. 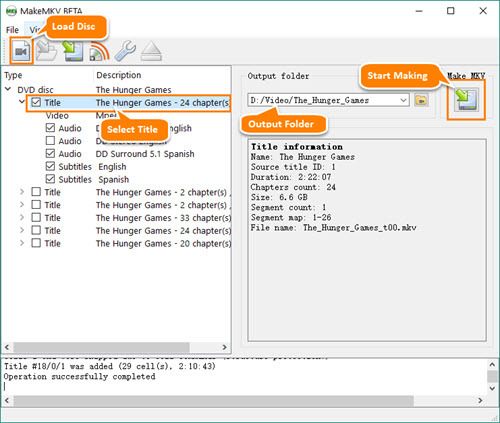 MakeMKV make people - who want preserve all contents and features of DVD – satisfied. Which way is better for you? All depends on your needs. 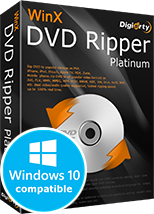 The Most Powerful and Efficient DVD Ripper for Disc to Digital Is Prepared For You! • Copy and Rip ANY DVD disc - covering unprotected DVDs, latest DVD movies, Disney DVDs (which are not suppported by WinX DVD Ripper), workout DVDs and more - to MP4 (H.264), AVI, WMV, MOV, FLV, 3GP, iPhone, iPad, Apple TV, Android, Chromecast, Xbox, Sony PlayStation and more with original quality and relatively smaller size. • 1:1 Copy DVD Disc to ISO Image, VIDEO_TS folder or a single tMPEG2 digital file with full features. • Take full advantage of hardware acceleration using Intel QSV, Nvidia CUDA/NVENC to greatly speed up video encoding, decoding and processing. Purchase benefits: Get FULL LICENSE at $39.95 only (a $20 saving). Lifetime free upgrade. 30-day money back guarantee. DVD Disc to Digital – Convert DVD Disc to Digital Files as MP4, MOV etc. How to Rip Copy Protected DVD as ISO, MP4, AVI, FLV, WMV, MOV, etc.